Slippery Slope and Slide Combined to one?! A combination of a rock wall and two slides, one on each side - friends climb the wall and slide down feet first. 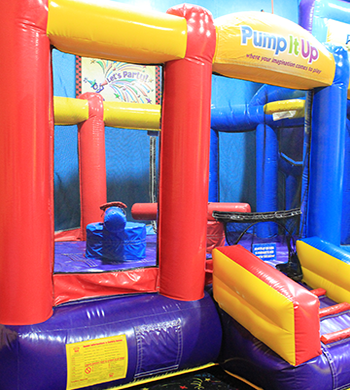 Plenty of room to use your imagination and play! Let your kids' imagination go wild! 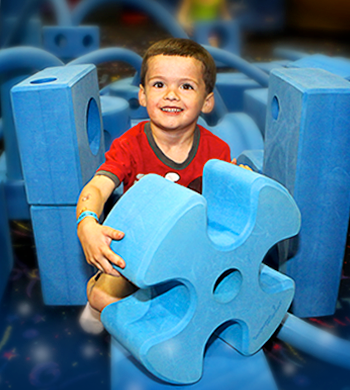 With these giant blocks, create a tower, a fort, a bridge, a maze, and so much more! 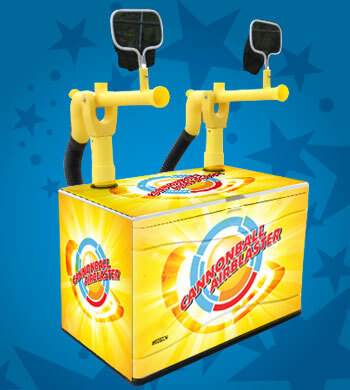 With four sets of our Cannonball Blaster, you are ready for some airblasting fun! 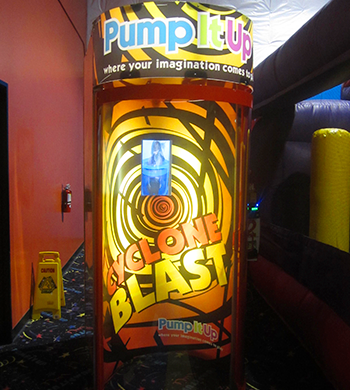 This attration allows multiple kids, or parents alike, so you can all play as a team and defeat your opponent. Safety Goggles must be worn while in the Cannon Blaster cage! Climb up two flights and you're finding yourself sliding down from about 20 feet high. 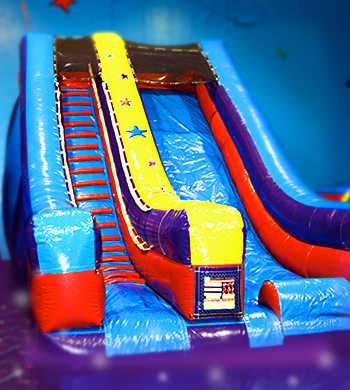 You will see all the smiles and laughter from sliding down on this giant slide. Of course, always slide down feet first! 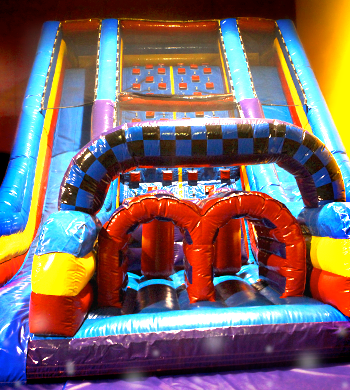 Joust or jump! 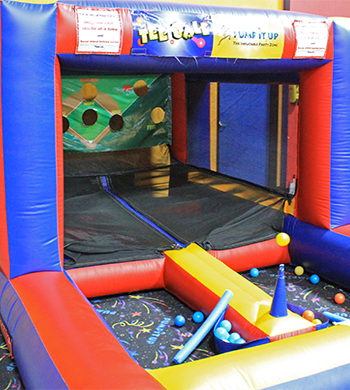 This fun ride is for two thrill seekers to joust! Or you can have more kids jump, shoot hoops, and kick balls to make a goal. It's time for baseball. Swing the bat to see how you hit the ball. 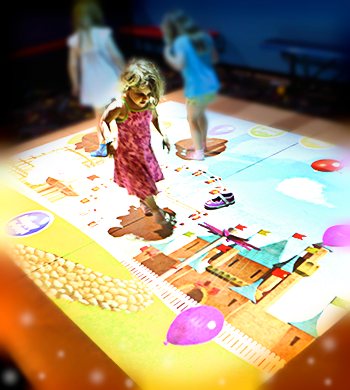 Great fun for all ages, including adults. Earn your bragging rights and hit a homerun. Whoosh! Brave the blast! With speeds of up 78 miles per hour you’ll feel like you’re in a tropical storm. 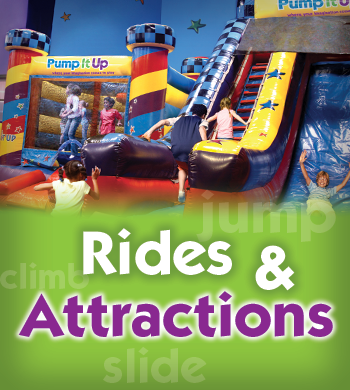 Go on…jump on this ride – you’ll be blown away! This is a pay per ride attraction.